Independent television network TV3 launched its prime time news bulletin on 27 November 1989, a day after the channel first went to air. Veteran broadcaster Philip Sherry anchors a reporting team that includes future politician Tukoroirangi Morgan (probing kiwi poaching), Ian Wishart (investigating traffic cop-dodging speedsters) and future newsroom boss Mark Jennings (torture in Timaru). 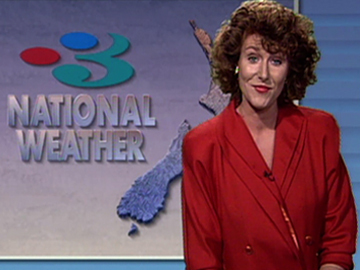 Belinda Todd handles the weather, and Janet McIntyre reports on TV3's launch. The Kiwi cricket team faces defeat in Perth (although history will record a famous escape there). 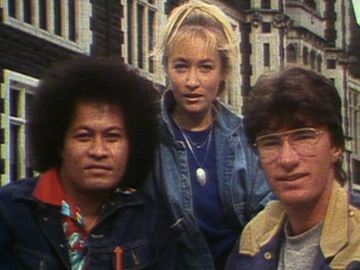 In April 1984 Poi-E was atop the NZ music charts, with ‘Jo the breakdancer’ starring in the song's music video. So it's apt that this edition of the TVNZ youth show looks at “the craze currently sweeping New Zealand — breakdancing”. In her first presenting gig, future MTV host Phillipa Dann heads to Mangere to bop and head-spin. Elsewhere in this season opener, David Hindley reports on a School Certificate controversy, and why young drivers are dying on country roads. Co-presenting back in Viewfinder’s Dunedin studio is Uelese Petaia (star of movie Sons for the Return Home). The Dominant Species is a loopy look at the relationship between people and cars in 1975 Aotearoa ... from an alien's eye view. 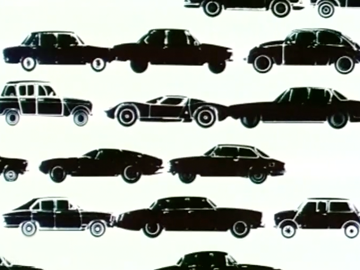 Nifty animation and special effects intersperse the automotive anthropological survey of Mark IIs, VWs, anti-car activism and car-washing. There's a dream sequence involving a ladykilling Jesus Christ atop a car, and Wagner's Ride of the Valkyries scores a rugby match traffic jam (also used in a famous scene in Apocalypse Now). Filmheads will note the tripped out assembly is flush with formative industry talents (see this guide by director Derek Morton). 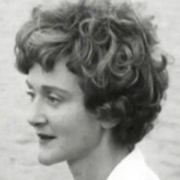 Trailblazing broadcaster Shirley Maddock, ONZM, was making and presenting television in 1960, when the medium first began in New Zealand. After doing theatre in London and radio in New York, she went on to produce and present a series of documentaries in her homeland, and wrote a bestselling book to accompany 1964 series Islands of the Gulf. Maddock passed away on 10 October 2001. She was 72. 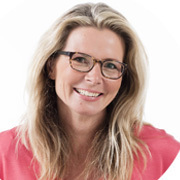 Suzy Cato leapt from radio announcing into television as presenter of TV3's Early Bird Show, quickly claiming her place as one of New Zealand's most beloved children's presenters. Thanks to the success of Suzy's World and pre-school favourite You and Me, her television CV now runs to well over 2300 episodes. In 1999 she set up her own company, Treehut Productions.